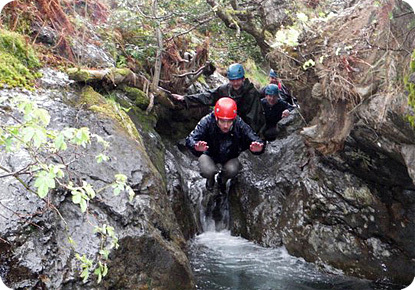 Using some of the Lake District's classic Ghylls for this high octane pursuit, you will experience an adrenalin rush that you would never have thought possible to achieve in water! 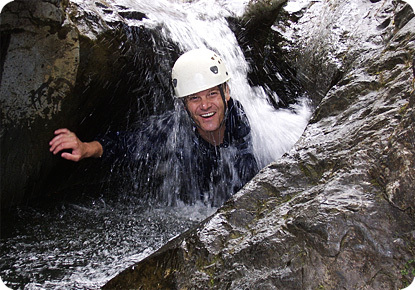 As we journey down the spectacular world of sculpted rock with its sparkling waterfalls. 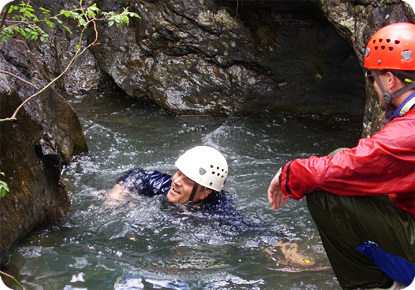 We will guide you as you scramble along the stream bed, slide down water polished chutes, swim across deep pools and leap down fantastic waterfalls into the plunge pools below. 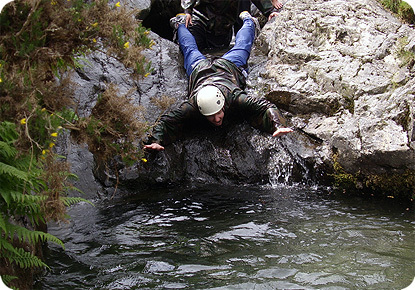 You will have experienced instructors to guide you through the different courses that the mountain stream takes as it cascades down the Ghyll, providing you with an invigorating and unique experience that will last a lifetime! Don't worry if you’re not a strong swimmer as our instructors are always on hand to get you through the deeper pools. 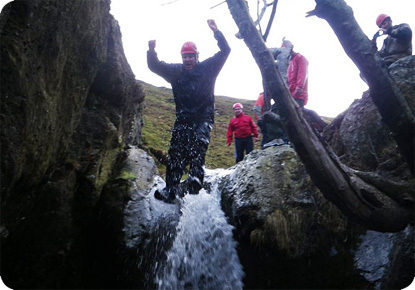 Ghyll scrambling is the perfect activity for a rainy day. 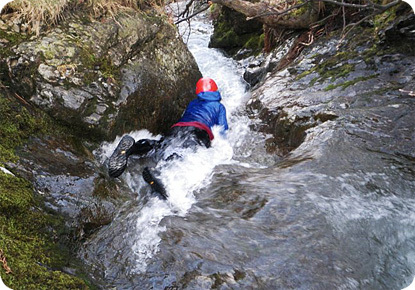 The weather in the Lake District has a reputation for its unpredictability if you’re out you may get wet, why not have fun whilst doing so? Specialist equipment and wetsuits are provided (you must bring some over trousers, jacket and suitable shoes - old trainers or walking boots are ideal) and if you are booked into our accommodation a hot shower when you return to Denton House.